You know, the only thing that matters is the ending. It’s the most important part of the story, the ending. And this one… is very good. This one’s perfect. So I watched this movie on recommendation from a friend and loved it. 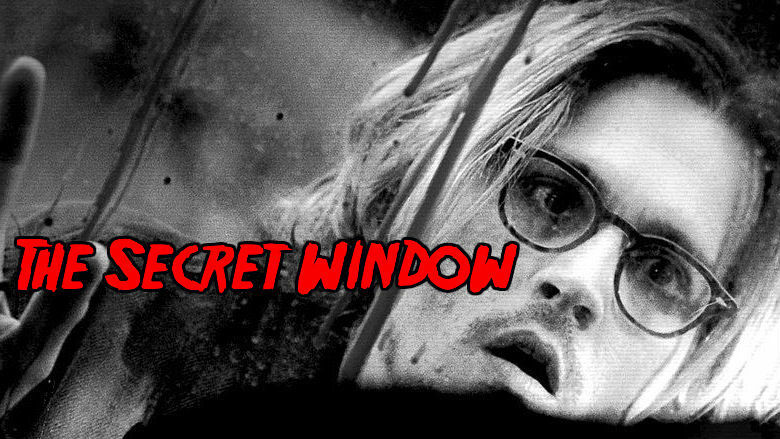 It is a psychological thriller from Stephen King’s book; Secret Window, Secret Garden. King got the idea for this novella from the many people who claim that that he has stolen plot ideas for different works from them. In this story, instead of the person being just delusional, they are also demented. Now this film has had mixed reviews. 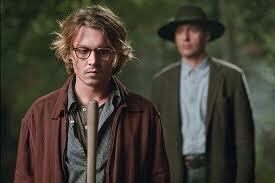 I loved it and I showed it to some friends who adored it. However I have had friends who hated it. They thought it was too kitschy and predictable, but I thought the ending was very good, even perfect. 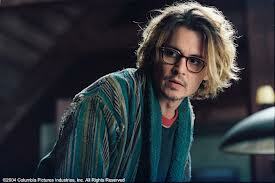 Johnny Depp plays Mort and is simply amazing as usual, although he has some real messed up and raggedy hair. So the film starts out with Mort discovering his wife is having an affair. He decides to go to Maine, as they do in almost every Stephen King film, to an isolated cabin, another Stephen King Usual (SKU). Mort is a writer (SKU), and decides that he will be able to get over his writer’s block (SKU) in the middle of nowhere than at home (SKU). He also had to leave the house as his wife is getting the house in the divorce. 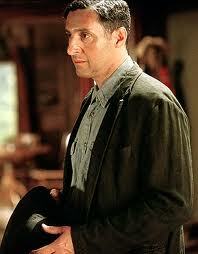 One day he is confronted by a man called John Shooter, played by John Turturro, who does an amazing job at being creepy. Shooter has come to demand Mort to give him credit as he’s convinced that Mort stole his story, “Sowing Season”. Mort just blows him off, but Shooter leaves his manuscript and threats behind. Mort tosses out the manuscript and moves on, but unbeknowest to him, his cleaning lady pulls it out and leaves it on the table. 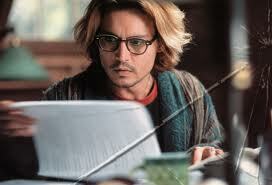 Mort than reads the story and realizes that Shooter’s story is just like his story, “The Secret Window”. The next day, Mort is out and aboout walking and runs into Shooter. They argue over who wrote it first; Mort happily telling him that his story was written and published a full year before. He has proof as he has a copy of the magazine it was published in at his home. Shooter is furious about this and tells him that he has three days to deliver the magazine as proof or else. John Shooter: Do you wanna wake up from one o’ your stupid naps ‘n find Amy nailed to yer garbage bin? Or turn on the radio one mornin’ and find out that she came off secon’ best in a match with the chainsaw you keep out ‘n the shed? Do ya? Mort doesn’t really care to listen to Shooter’s threats. However, Mort quickly discovers that Shooter’s threats are not harmless. Shooter starts stalking him and his ex-wife. Bodies start piling up, as Mort goes down a road of insanity, trying to discover the truth of who is Shooter and why is he after him. Just like in The Cabinet of Dr. Caligari and The Bad Seed, the end is too good for me to go into. This is a movie one has to see! I hope you enjoy it as much as I did! Hope you enjoyed Monday’s murderous tale. More to come! Here’s a facebook cover I made for my countdown to Halloween. This entry was posted in Horrorfest and tagged Affair, Amy, Argue, Betrayed, Blows Him Off, Bodies Start Increasing, Body Count, Can't Get Rid of It, Chainsaw, Cheated, Cleaning Lady, Comes Back, Creepy, Cut Hair, Delusional, Demented, Discover Truth, Divorce, Don't Respond to Intimidation, Film based on a book, Found Out She Cheated, Good or Bad, Hair, Hair Don't, Hair Style, Hor, Horrorfest, Icky, Insane, Is it Good or Bad, John Shooter, John Turturro, Johnny Depp, Keeps Coming Back, Kitschy, Lost Home, Love or Hate It, Maine, Manuscript, Messed Up, Messy Hair, Middle of Nowhere, Mixed Reviews, Mort, Needs Proof, Novella, Perfect Ending, Plagiarism, Plagiarizes Work, Predictable, Proof, Psychological Thriller, Psychology, Raggedy, Recommended Film, Road of Insanity, Ruined Hair, Scarefest, Scary Movies, Secret Window Secret Garden, Serial Killer, Showed to Others, Sowing Season, Stalking, Stephen King, Stephen King Film, Stephen King Usual, Stole Story, Stolen Plot Ideas, The Bad Seed, The Cabinet of Dr. Caligari, The End, The Ending, The Secret Window, Threatens, Threats, Three Days, Thriller, Truth, Wants Credit, Wife Had an Affair, Writer, Writer's Block. 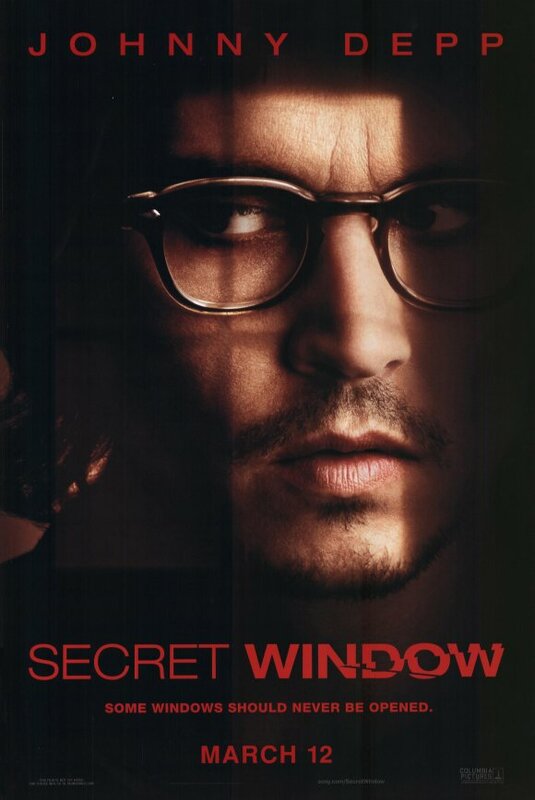 Hey there, thank you for revealing your ideas in The Only Thing That Matters is the Ending: The Secret Window (2004) janeaustenrunsmylife. This is actually an awesome website. I simply want to say I am just new to blogging and actually liked this blog. Almost certainly I’m likely to bookmark your website . You absolutely come with excellent well written articles. Regards for sharing your web-site.